It's officially Spring! 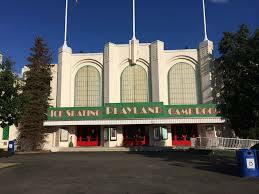 Let's enjoy the warmer weather and do some sketching at Rye Playland. Located on the shores of Long Island Sound, had had a long history as a favorite Westchester recreation area since its opening in 1928. It was declared a National Historic Landmark in 1987. 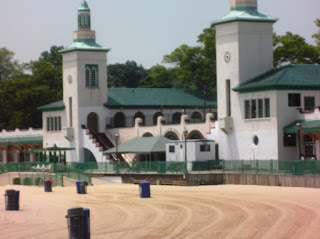 There'll be plenty of subjects to sketch: a Spanish Revival Bath House, Art Deco Buildings, a sweeping arcade and boardwalk overlooking Playland Beach and Long Island Sound, as well as people, dogs and an Ice Casino. 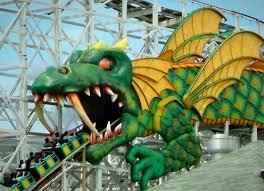 Note: Playland was the amusement park featured at the end of the 1988 movie Big starring Tom Hanks. 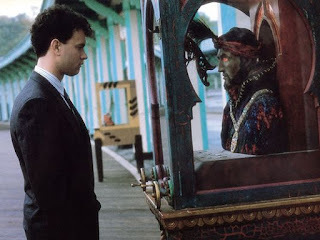 The scenes of his date with Susan and at the end of the film where the "Zoltar the Magnificent" fortune teller machine returns the adult Tom Hanks to his original childhood age/state of being were filmed on Playland's boardwalk. START TIME: 11:00 AM We will meet in front of the Playland Ice Casino. TRANSPORTATION from NYC: Take Metro-North’s New Haven Line to the Rye Station. Please contact Marianne or Cathy if you would like a ride from the station. The Park is approximately a 5-10 minute ride from the station. SHOW and TELL: 1:30 PM, Location TBA. - The Amusement Park is currently closed, so the parking is free. - There are plenty of benches, but bring your stools/chairs for more possibilities. - Bring your lunch or a snack. There are limited options nearby. - SAVE the DATE: Weather permitting, our next event will be Arbor Day, Friday April 26, at Lasdon Park and Arboretum in Somers.